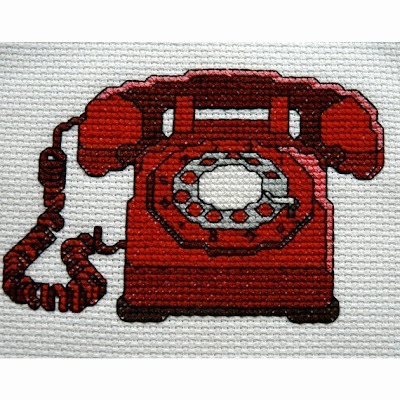 kelleytime...: Retro Modern Cross Stitching! 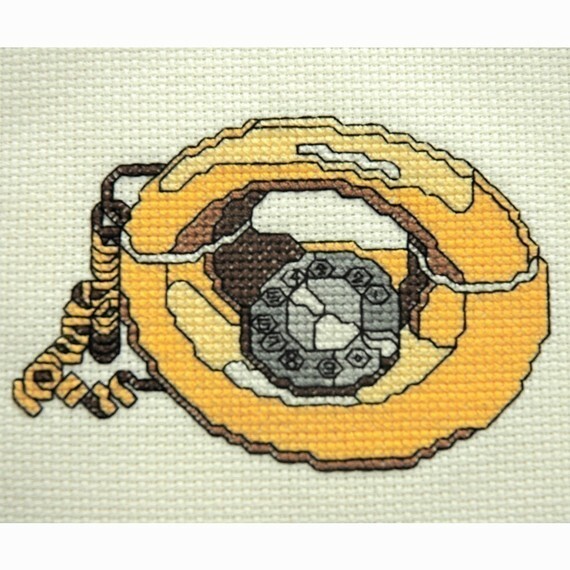 For I just ordered the cutest cross stitch patterns from etsy. If you're at all a cross stitcher or have done any stitching recently, you have probably seen the inventory at any local craft store like A.C. Moore, Michaels, JoAnn Fabrics, etc. 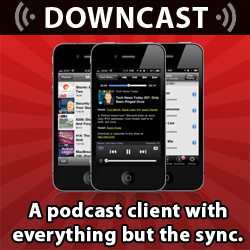 It's not the best inventory. They have a lot to chose from but...well...the patterns don't always appeal to everyone. So, I went in search of cooler patterns. Something different that required a hunt! Check. These. Out. 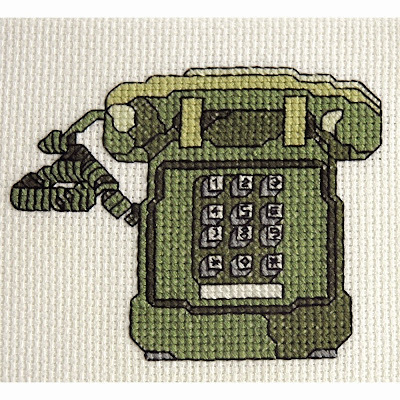 All of them came from etsy seller, tinymodernist (who is clearly awesome). 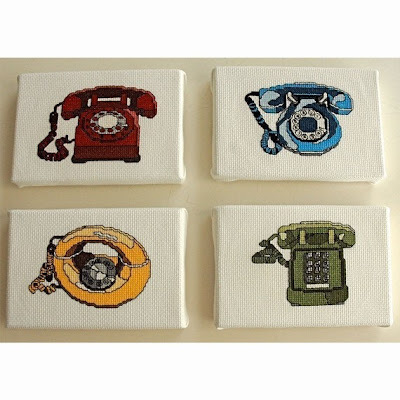 For the bargain price of $12, I got this set of 4 vintage telephone patterns: Have you seen anything more fun? IDTS. Then. Yes, THEN. There is more. I also scored all FIVE of the following patterns for the bargain price of $15 (had I purchased them separately, they would've been $24). 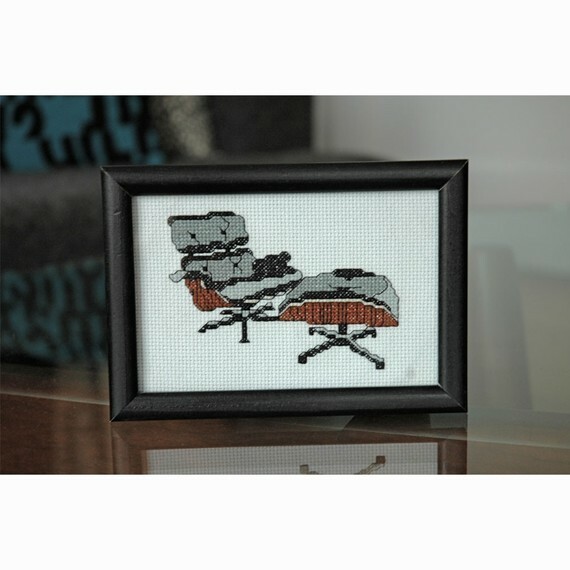 Tinymodernist is awesome. Did I tell you? 1. 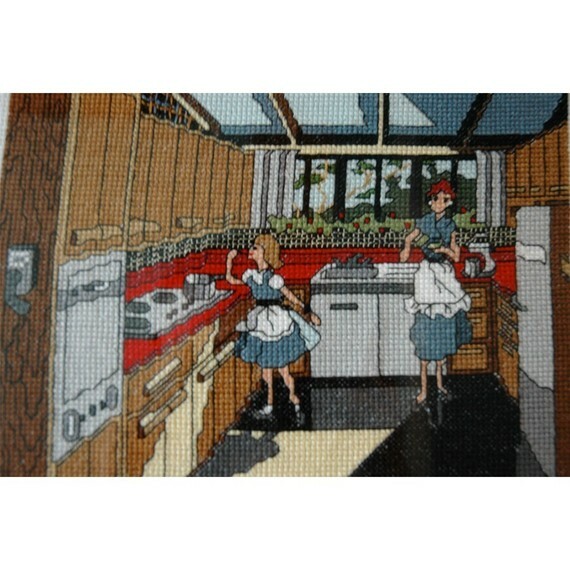 Retro 50s Kitchen: I love this scene! It reminds me of many an old kitchen seen on House Hunters. With its red counter tops and glass panel ceiling. It's sooo 50s California. 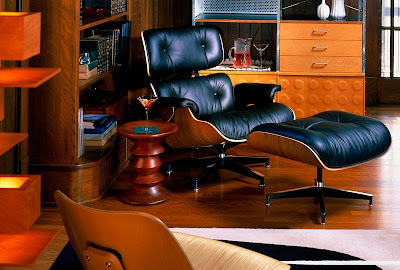 I don't know that I've ever pegged myself as a 50s freak, but I do love me some mid-century modern, so whatever. I just like what I like. 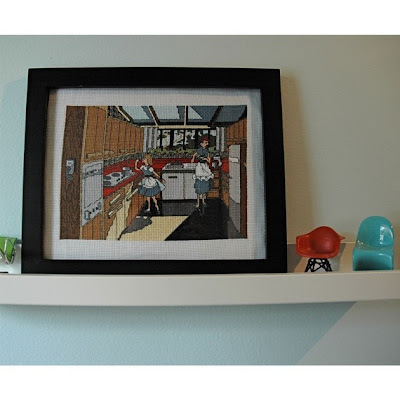 Here's a great shot of the completed project on display next to some tiny retro modern chairs. Love. 2. 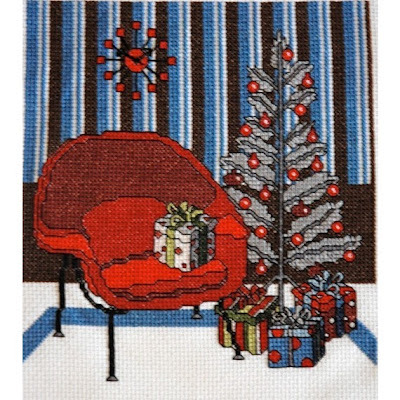 Retro Modern Christmas with Womb Chair. How charming is this scene? And I know that tree. It's not real, it's aluminum! My grandmother had one and now my mom has it. And mom decorates hers with red balls, too! I just want to sit down in that chair with my hair done up like Betty Draper wearing a big dress cinched at the waist with a crinoline and all! Then my Don Draper could bring me a martini. And I'd open what is surely a diamond something or the other from under that tree. Here's the real thing. Price tag: $3,800ish with ottoman. Photo from Hive. Do you hear the angels of sheer comfort singing? I do. There's a reason they call it the Womb Chair. Here's the real thing. Price tag: $4,000ish. 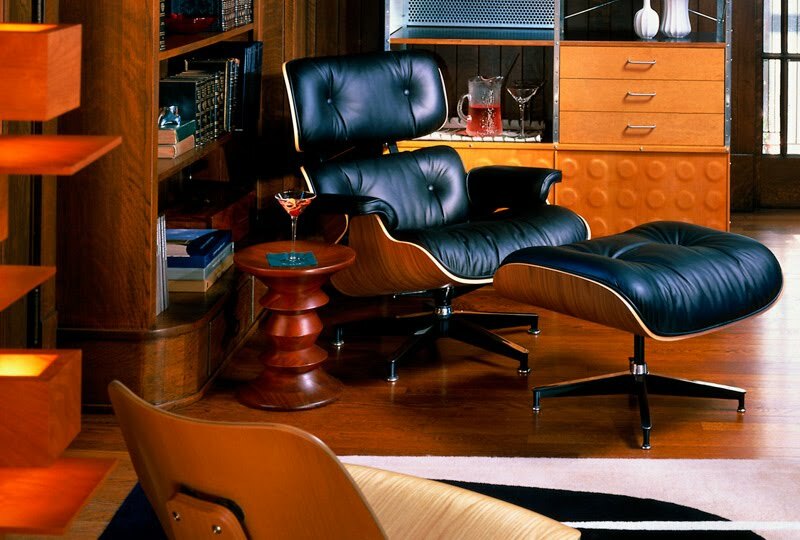 Photo from Herman Miller: Hello, lover. 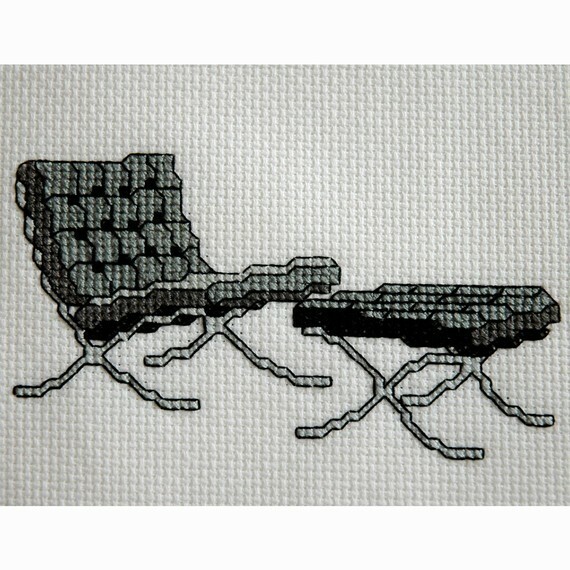 That's one gorgeous chair. 4. 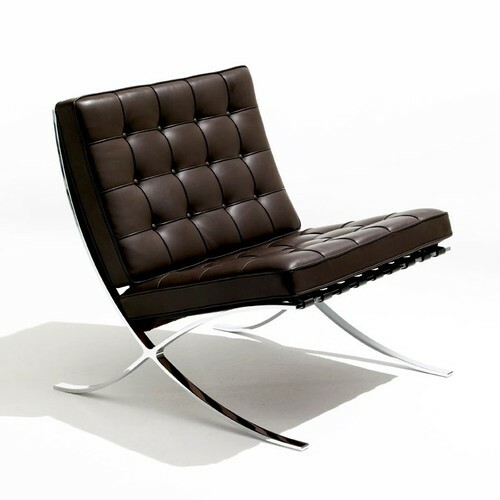 Retro Modern van der Rohe Barcelona Chair. Another classic. 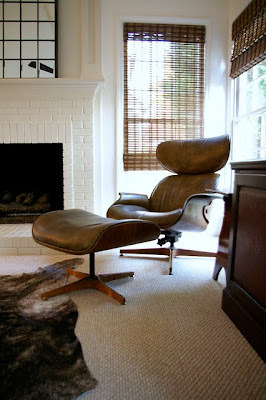 I simply adore this chair. Here's the real thing. Price tag: $4,500ish. Photo from Knoll. 5. 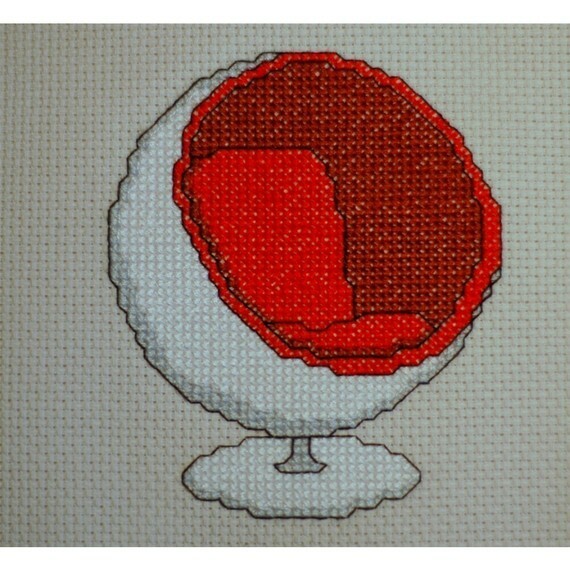 Retro 60s Modern Ball Chair. These are so fun. 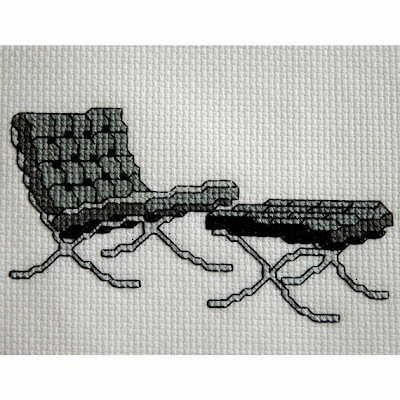 How many movie scenes can you think of in which someone spins around dramatically from inside one of these chairs to reveal their identity? They usually have one leg propped up all casual-like to the side. Here's the real thing. Price tag: $6,800ish. 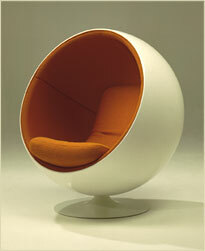 Photo from Eero Aarnio's web site. I'm so excited to get the patterns and get to work! What an inexpensive way to personalize the art that goes in my home. 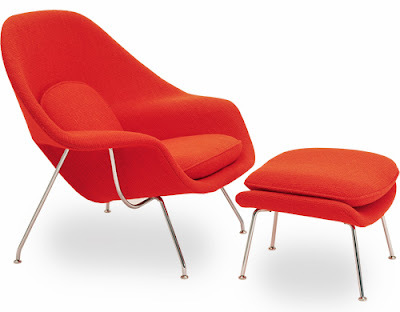 Also an inexpensive way to get these gorgeous, timeless, modern pieces of furniture in my collection, too. Also, go check out tinymodernist's other things. She's even got cute baby onesies for the modern furniture enthusiast! This is an AWESOME post. 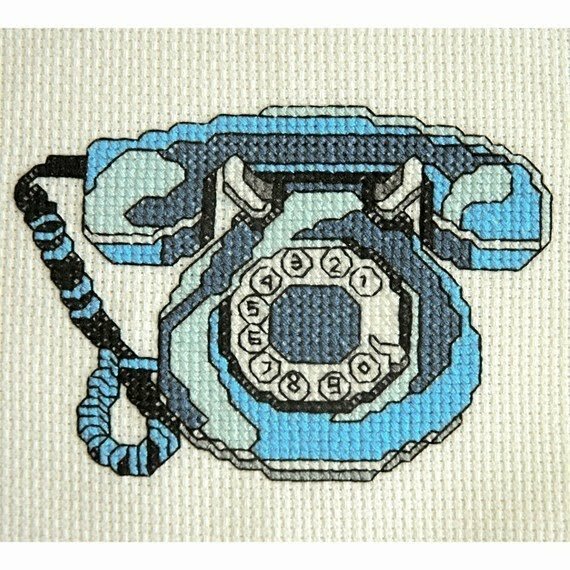 I love the cross stitch patterns! I haven't done cross stitch in years, but I feel inspired! 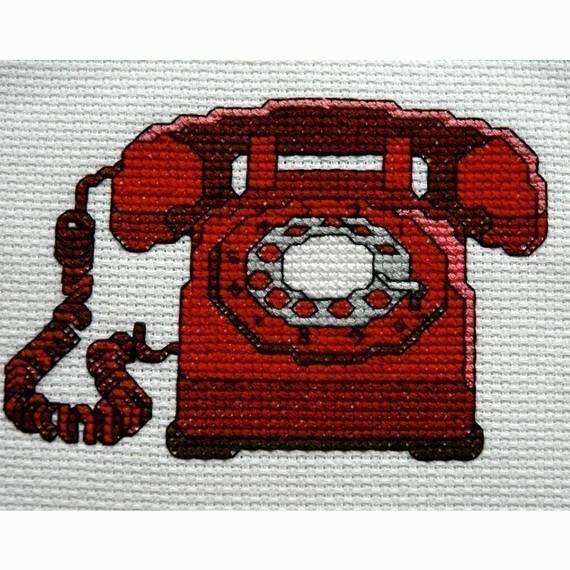 Thanks for exciting post about Retro Modern Cross Stitching! I really liked it, you are a good blogger. I will look forward for something new.